Eric Navet has been Champion of France several times, he became World Champion in 1990, European Champion in 1991 and has represented his country in the Olympics as well. For decades he has played a key role on the highly successful French Show Jumping Team, with numerous team medals in European and World Championships. 1976 silver medal at the Junior European Championships in Brussels with Brooklyn. 1977 individual gold and team silver medal at the Junior European Championships in Switzerland with Brooklyn. 1984 selected for the Olympic Games in Los Angeles with J't'Adore. 1990 individual and team gold medal at the World Equestrian Games (WEG) in Stockholm, Sweden with Quito de Baussy . 1991 individual gold medal and 4 th place team finish in the European Championships in La Baule, France with Quito de Baussy . 1992 gold medal at the French Championships with Roxanne de Gruchy, team bronze medal at the Olympics in Barcelona with Quito de Baussy , No. 1 worldwide on the World Ranking List. 1993 team bronze medal at the European Championships in Gijon, Spain with Quito de Baussy. 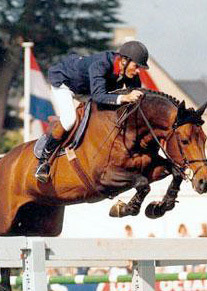 1994 team silver medal at the World Equestrian Games in The Hague with Quito de Baussy. 1997 gold medal at the French Championships with Atout d'Isigny. 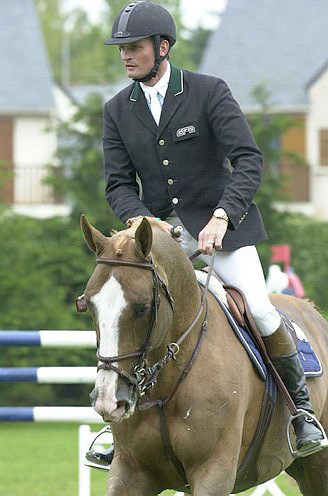 1998 gold medal at the French Championships with Alligator Fontaine team silver medal at the World Equestrian Games in Rome with Atout d'Isigny. 2001 silver medal at the French Championships for 7 year olds with Gentleman Platière. 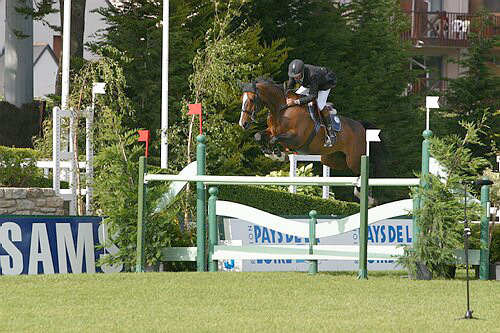 selected for the Athens Olympics with Dollar du Murier. 2007 gold medal in the Championship of France Pro 1 with Hym d'Isigny Lassergut.